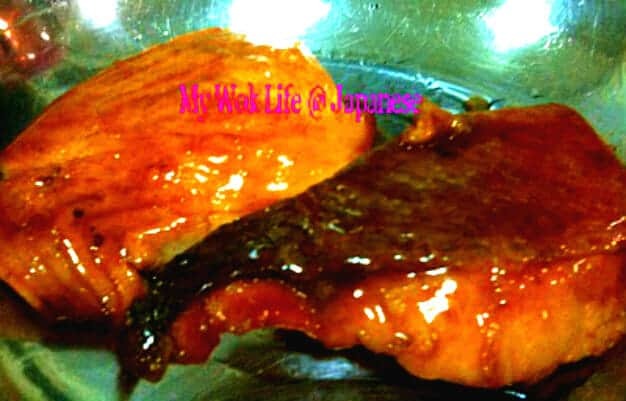 Here we have a healthy dish to be categorized as an easy and fuss free cooking. 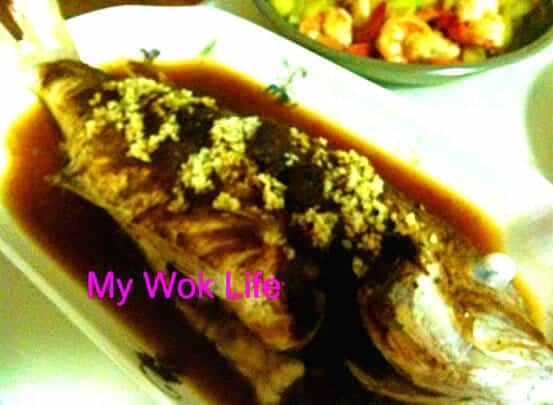 This steamed fish in egg paste surely is one of the best fitted dishes in this category. 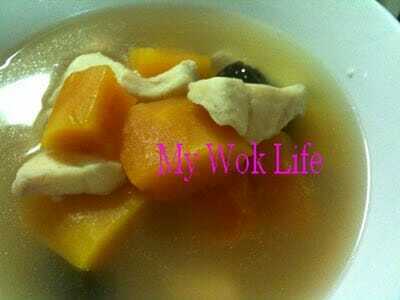 I learned this recipe from one of the TVB cooking shows I have watched and this, is an adaption to their recipe. ‘Sheng Yu’ (生鱼), the Chinese term for Haruan fish. Haruan is also known as Snakehead Murrel, if it sounds more familiar to you. Suddenly had this craving for sweet and sourish flavoured dish for dinner. I missed lemon fish, but find that the lemon fish from outside stores was tasted too sweet. 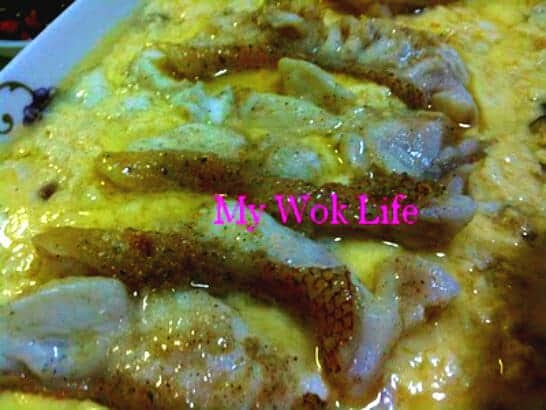 So, I yearned to cook my own lemon fish! To curb my craving for it. A very satisfying one, I had it, for my family who loved this dish as well. 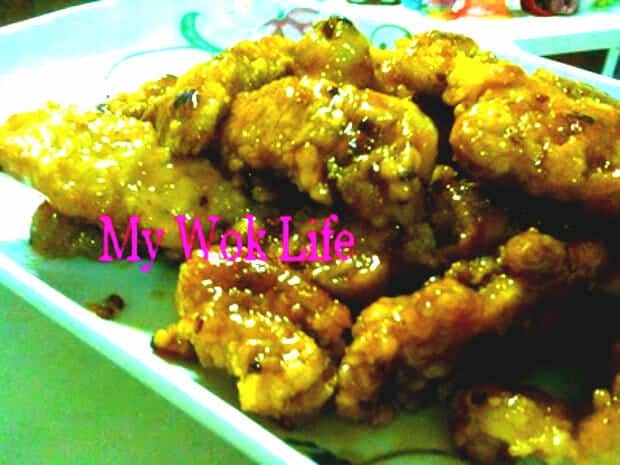 Lemon fish is an adaption of the popular Asian style lemon chicken. Cooking lemon fish dish is not a difficult chore. We can always get instant lemon sauce packets off the shelves, but it won’t really save your bucks by using these pre packs. 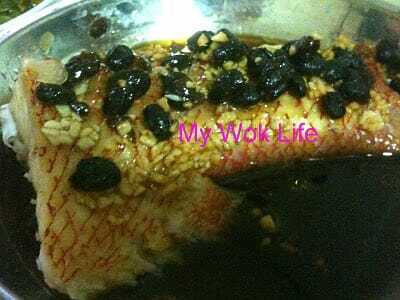 There was this gentleman reader requested me to post my recipe of steamed Song fish head with whole black bean some time back. 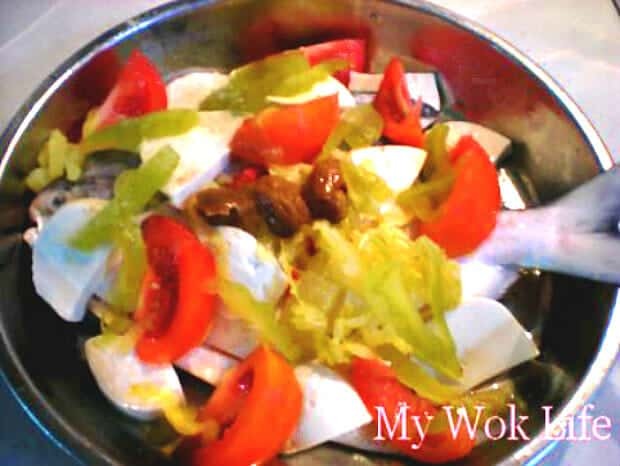 I would like to cook more fish dishes as fish contains high nutritional value, DHA, mainly. Today’s second day of new year, 2010. I steamed Teochew-style with Sea Bass, but Sea Bass is not the most popular fish type to make an authentic Teochew steam fish. So, I used the genuine fish type this time, the white Pomfret! 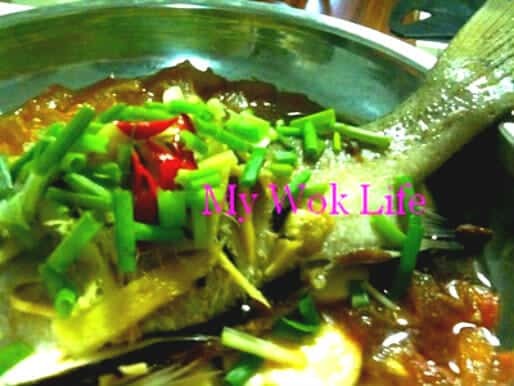 Teow chew style steamed fish will be cooked together with other sides such as bean curd aka tofu, salted vegetables and tomato, sometimes.